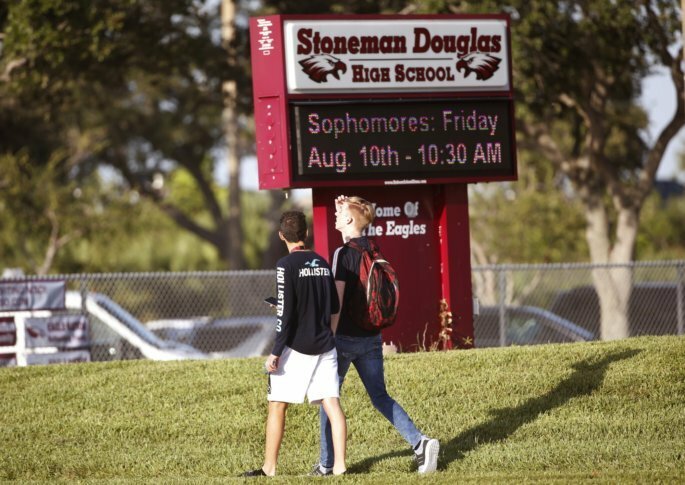 PARKLAND, Fla. (AP) — Students at Marjory Stoneman Douglas High School returned to a more secure campus on Wednesday as they began their first new school year since a gunman killed 17 people in the freshman building. But some say they still won’t feel protected despite $6.5 million in security enhancements, including 18 safety monitors, new classroom locks and upgraded video surveillance. The case against shooting suspect Nikolas Cruz continues in court, where the Broward County school board asked a judge to hold the South Florida Sun Sentinel in contempt for publishing details about Cruz’s educational background that were supposed to be redacted to protect his privacy. At a hearing Wednesday, Broward Circuit Judge Elizabeth Scherer called the newspaper “shameful” for publishing those details, but stopped short of ruling the newspaper in contempt of court.